I was really excited to try Salushi’s new Value Menu to find out if they still deliver excellent value because I love sushi, but my budget doesn’t… And, I’m happy to say that their menu is still really affordable with some interesting options if you’re looking for a change from the standard sushi offering. 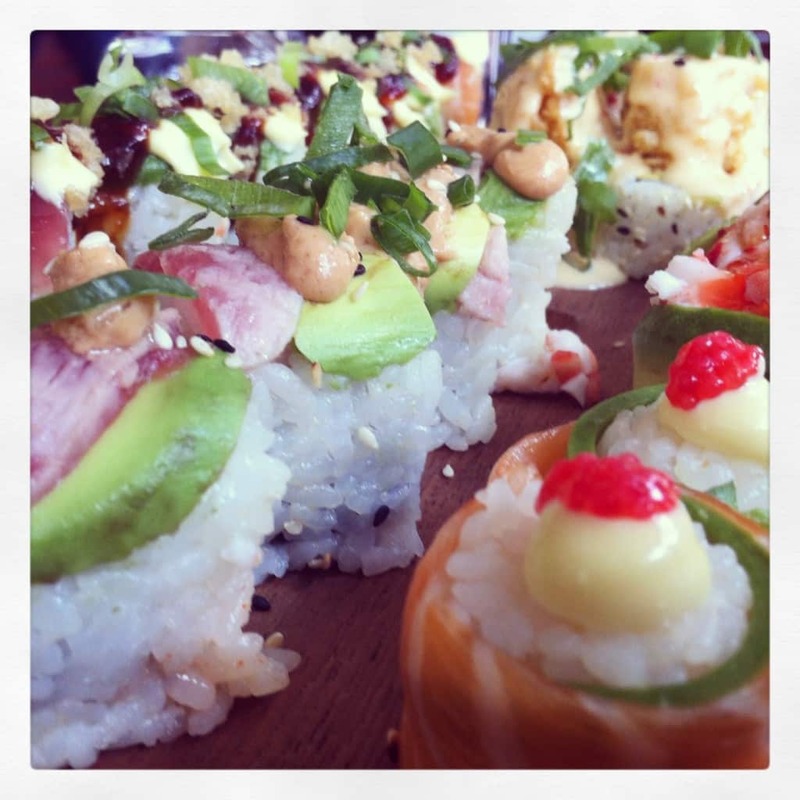 What makes the menu even better is the wines by the glass, at around R40 for a 250ml carafe, that perfectly complement the sushi. We tried their Rock n Rolla, Rhino Rolls, Takky Tempura, Prawn and Strawberry Kisses and Salmon Roses. I usually stick to plain sushi – California rolls and the like – but the sauciness of this sushi was unbelievably delicious! My favourite was the Rock n Rolla (8 pieces for R62) – rainbow rolls topped with a honey/soy reduction, tempura crackling and spring onion. It was followed closely by the Takky Tempura (4 pieces for R52) – seared salmon California rolls, topped with tempura prawns, spring onion and citrus mayo. 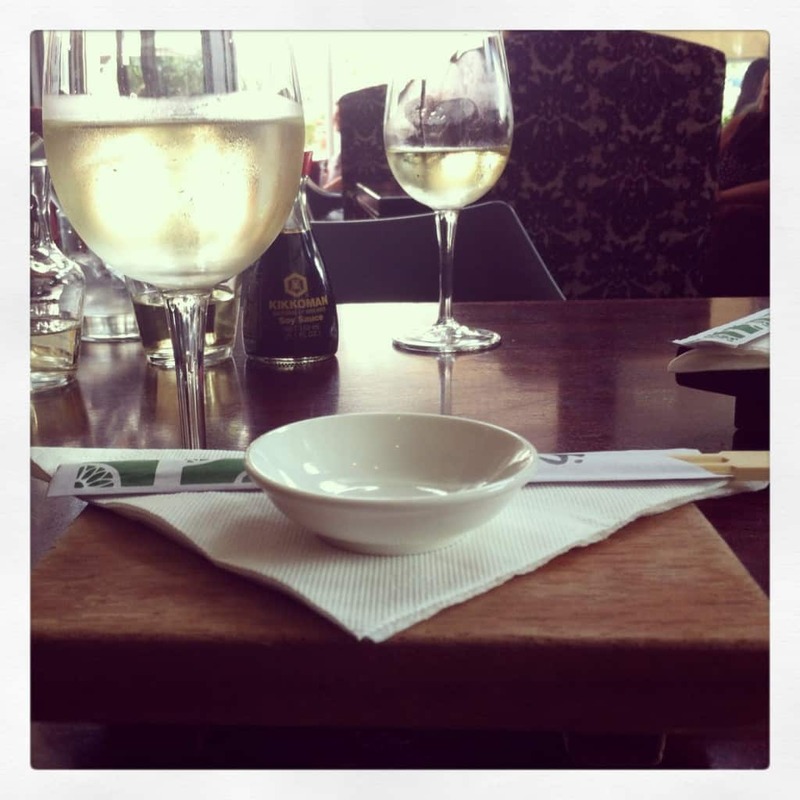 I paired the sushi with a carafe of Fleur du Cap Chardonnay – it’s hard to beat a Chardonnay-sushi pairing! 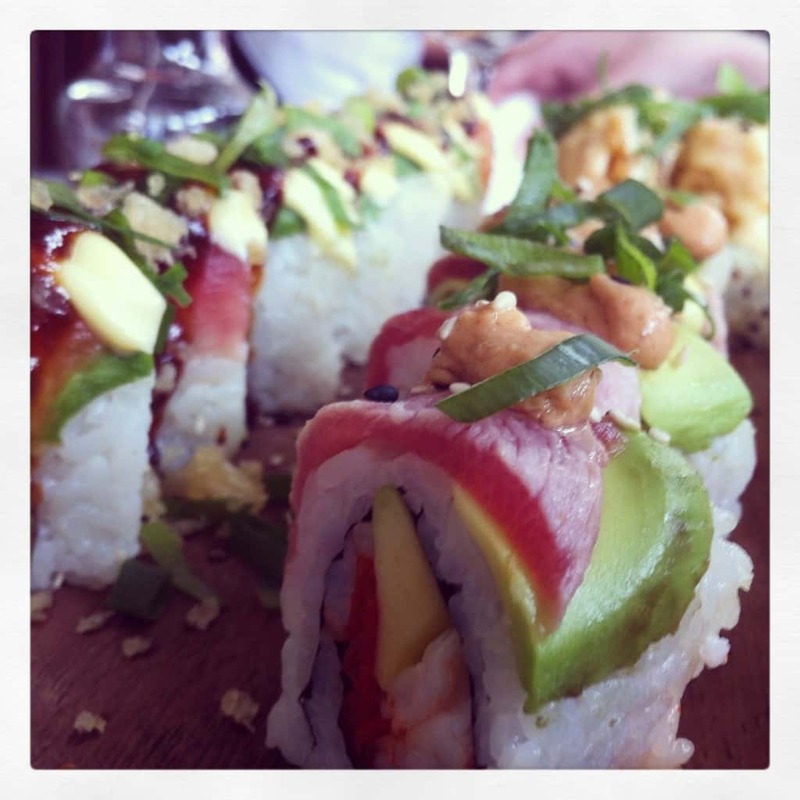 ** We were invited to try some of the new options on the menu by the manager Grant, but I have been going to Salushi for 6 years now, at least once every 2 months, and I’ve paid for every one of those meals and enjoyed every bite of sushi!